Summary: In a castle at the foot of the Carpathian Mountains, an old aristocrat waits to greet the friend he has not seen for forty-one years. In the course of this one night, from dinner until dawn, the two men will fight a duel of words and silences, of stories, of accusations and evasions, that will encompass their entire lives and that of a third person, missing from the candlelit dining hall—the now dead chatelaine of the castle. The last time the three of them sat together was in this room, after a stag hunt in the forest. The year was 1900. No game was shot that day, but the reverberations were cataclysmic. And the time of reckoning has finally arrived. Embers it’s the story of two old man, Henrik and Konrád, that though they had not been together for 41 years, they are united by a secret, and they both know that before they die they will have to meet each other and talk. The book centers around that encounter, where the two friends will engage a subtile word battle that, step by step, will uncover to the reader a great secret and all its consequences. Embers, if it isn’t a classic already, it will soon become one since it’s one of those books, that makes us think about life and that manages to imprison on paper a world that has now, and at the time of writing too, changed. 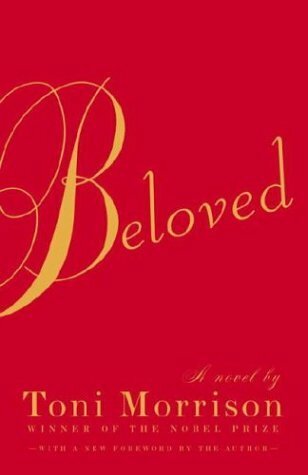 This book was a great read for me, not only because the plot that slowly unveils a mystery, but also because of the reflection about life, people, Destiny, the world, Love, Friendship and other Passions. Henrik is the main character, he’s a 73 years old general, that after his retirement closed himself in his room and led a solitary existence that allowed him to think about some of the most important events of his life and that way prepared himself to the encounter with Konrád,somewhere in the path of his life. A great part of the book is Henrik’s monologues that as a whole are a great essay about life and its many facets. That night, with Konrád, Henrik revives his infancy, youth, and adult life, while reflecting upon many things that made me think as well. I think the author made a really good choice when he decided that the characters should be old men since otherwise everything would seem unreal, because to speak so clearly and with such a knowledge about some of the things in the book one needs a great life experience that it’s hard to have if one his young. 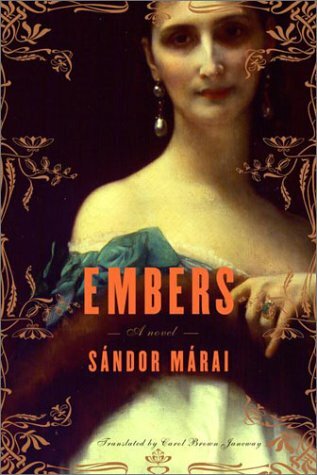 One thing that surprised me most was that Sándor Márai had only 42 years old when Embers was first published in Hungarian, because as I said before it’s necessary a great life experience to create such a thoughtful dialogue as the one on the book. But doing a little research on the author I discovered that at the age of 42, Márai had already lived a lot: he left Hungry when he was little and though he came back to Hungry later he didn’t stay for long because he exiled himself when the soviets started to govern his country. Though he didn’t left earlier Márai disliked the nazis as well and he was considered “profoundly antifascist” (you can read more about him here). Some of his feelings toward the away Hungry changed during his 42 years of life are expressed in Embers. Several times, the General talks about the end of the world has he knows it, and about a “change”. There’s also strong opinions about the war (Márai was a teenager when WWI ended and Embers was published in 1942, in the middle of WWII). Though very well written, the reflections made the book have a slow pacing, that for me didn’t matter but it probably will for others. Though the small pacing, since the beginning, the book sent an atmosphere, not only of decadence and end of an era but also of mystery.In the dialogs, especially, we feel that there’s a great deal of back story that we don’t know. Luckily that back story, or at least most of them is revealed, through the book. I really like when this happens because it always makes me keep reading to discover what will happen next (or before), and because it makes the book much more real. Also the way that the back story it’s revealed works really well. In many other books, if a character started a monologue where he told his life story to a close friend, someone who certainly knows everything that he’s telling, it would seem fake; but because this book is all about understanding tha past, in this case the events that happened 41 years ago involving Henrik, Konrad and Krisztina, the back story, mixed with the reflections, works particularly good in Henrik’s monologues, since he is a man that’s trying to find closure and to do that he must understand every moment of that day 41 years ago, and all the things that led to it and all its consequences . But please, beware, though there’s a mystery atmosphere Embers it’s not a mystery book, no, it’s more a book about life itself and all its mysteries. Embers it’s a great book, that you’ll find interesting if you want to read something that will make you think and ponder. It’s not a book that you can read carelessly in the beach to relax but it’s a great book to read in a hot summer afternoon in a calm environment where you can think and not be distracted while you immerse yourself in one of the greatest books of the 20th century.